Emika Chen is a hacker barely getting by since her father's death. 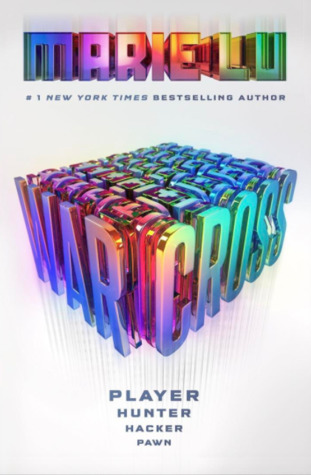 During the biggest Warcross tournament of the year, she "accidentally" hacks herself into the game, garnering a personal invitation from the game's creator, Hideo Tanaka, to come to Japan. He wants her to search for the hacker that is attempting to disrupt his plans for his company and offers her the largest bounty she has ever seen. But she may be in over her head. This book would be great for fans of Ready Player One and Armada by Ernest Cline. This was a fun science fiction novel for readers who enjoy stories of hackers, VR, and computers. Emika is a likable character with a lot of problems. She is very well drawn and realistic, though I found myself wishing she had someone she could complete confide in. Her existence is a lonely one. Action packed and full of fun. Check out your copy today! Have you kept up with Celaena’s adventures and want to see what’s happening next? Click the link here to take you to the library’s webpage so you can put your name on the hold list. 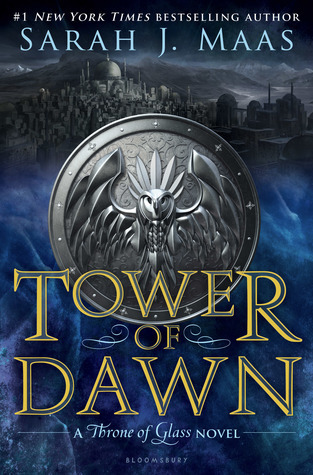 Have you not read any of Sarah J. Mass’ books but are curious to see what I’m talking about? (you should be, they are amazing) then click here to see all the books written by this author. Sometimes you get in the mood for something real, but that doesn't mean it has to be boring. Nonfiction is full of variety and interesting facts and information- and it's usually a pretty fun read, too. Here are a few interesting choices for your foray away from fiction. Click the cover images to see them in the catalog! Girls just gotta have fun. Or be pirates. Or be mathematicians or poets or any number of amazing things. Complete with illustrations and short anecdotes about the lives of women from all over the world and all different time periods, REJECTED PRINCESSES bring you the Disney heroines you never knew you wanted. I will admit this one was not for me. Swift tales taken from the original Brothers Grimm works, complete with sculpture images specifically created for the work, take you into a dark world and draw you into the viciously unnerving tales. A true story of a man raised by enemies who killed his father, this epic biography will take you back in time to find out just how strong you can be-- just how you can be the odds, no matter how they're stacked against you. Colette has been looking forward to her class trip to Paris, and hopes to find out more about her family's French heritage. 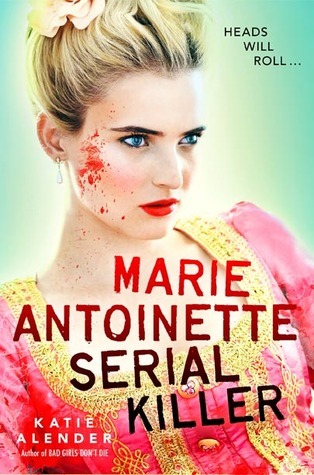 As she visits sites around Paris, she begins to see a women dressed like Marie Antoinette, little does she know this ghost has plans for her. This is a fun light romp with a little bit of horror mixed in. While it was a fun read, I felt it lacked the depth to elicit any real fear of the ghost. People are dying, losing their heads in mysterious accidents. Colette was a hard character to like. Her taste in friends is terrible and she is so obsessed with her social status, she doesn't care who she hurts. While her character does grow throughout the novel, I still found her hard to empathize with as I felt that every situation she was in was her own fault, with the exception of her ghostly stalker. Overall, this book was okay, but there are better horror novels out there. I really wish I could have liked the main character--that would have made this a better read for me. 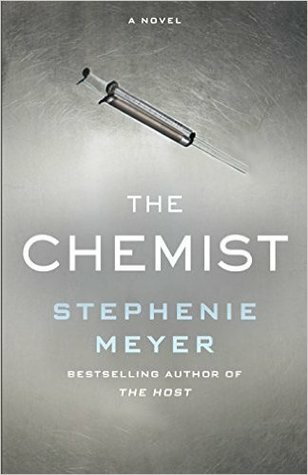 Yes, that's right, Stephenie Meyer finally has another book coming out! I love Stephenie Meyer. And the last book she wrote for Adults (The Host) was superb, and I cannot wait to see if this one lives up to the hype that I'm building it up to be in my head. *Fingers Crossed* If you'd like to read this book and see what it's all about click here to put your name on the Hold list. Everyone loves a road trip. Well, I do, anyway. And I LOVE road trip novels! They're fun, they're interesting, and they can often add a new style to formatting as well. Like Amy & Roger's Epic Detour (if you haven't read that one, I don't know what you're doing with your life, okay?). So here are a few more to quench your thirst for adventure. I love this series, it was one of those hidden gems that I picked up on a whim and decided to give it a try. And. I. Loved it. I am a big fan of the whole murder mystery theme (though I don't like when it's too gruesome, bleh) I loved watching Diagnosis Murder when I was little, and I always had my nose in a Nancy Drew Book (even though Nancy Drew is more mystery, less murder) and now I watch the Aurora Teagarden and the Hannah Swenson mystery movies on Hallmark (both of which are based off of books that you can check out by clicking here and here) anyway, enough of my rambling. 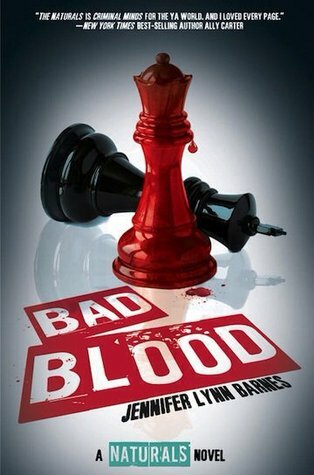 This series has just enough action and twists and turns to the plot, that it will keep you on the edge of your seat the entire time. The way things ended in the last book, I am not so patiently waiting to find out what happens next. If you would like to read more about this book and put your name on the hold list, click here. YouTube sensations Dan Howell (danisnotonfire) and Phil Lester (AmazingPhil) were just two awkward guys who shared their lives on the Internet . . . until now. Dan Howell and Phil Lester, avoiders of human contact and direct sunlight, actually went outside. Traveling around the world on tour, they have collected hundreds of exclusive, intimate, and funny photos, as well as revealing and candid side notes, to show the behind-the-scenes story of their adventure. 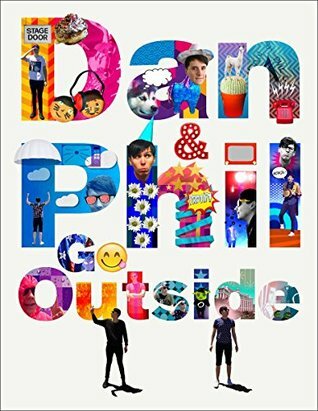 Fans of Dan and Phil’s #1 New York Times bestseller, The Amazing Book Is Not on Fire, and their more than 10 million YouTube subscribers will love this full-color book featuring never-before-seen photos and stories from Dan and Phil. I am not the biggest Youtube watcher...It's not that I dislike Youtube (because there are videos on there that could keep me entertained for hours... I just don't have the time to watch it. However a few years ago I stumbled across one of Dan and Phil's colab video and I was hooked. Now I watch every single video they upload. This is their second book, the first one is called The Amazing Book Is Not On Fire and you can check that one out by clicking here. I have a feeling that this one will be just as humorous. If you'd like to see what kind of hijinks are in this book, click here to put your name on the hold list. I am the rare, strange person who wishes for snow year-round. I know, I know. I should move to Alaska. Good one. Either way, the time for Indiana snow is rapidly approaching, so here are a few books to get you in that snowy state of mind.